Suky is the original "desorden internacional," it embodies the spirit of a fantasy filled universe where joy, freedom of expression and the human spirit are able to dance in the daily carnival that is life on earth . Suky transmits a musical and visual energy that's contagious, to say the least, joined by a multitude of characters unique to the style and world of Suky, The rhythm offers audiences of all ages a trip to another dimension where happiness reigns. 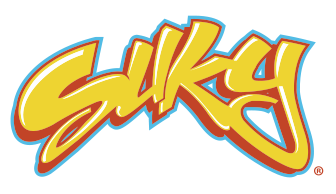 What is Suky? It's all Suky! Baila Suky! Carnaval on the Mile and Suky! Suky rocked the mile, three concert stages with over 30 musical groups and performers from all over the US featuring Latin Funk, Rock, Folk, Reggae and Rap. A heartwarming event took place on Sunday December 14, 2014 at the Everglades Village in Florida City, FL. At this Charity event Suky donated over 300 backpacks to the children of Homestead! The 2014 ANNUAL MIGRANT CHILDREN’S TOY & SHOE RUN was an absolute success thanks to the passion and support of all who lent a hand and made these beautiful children’s Christmas a little brighter. We thank you and look forward to your support in 2015! The Kiwanis of Little Havana Foundation hosted its 38th annual Christmas Gala on December 6, 2014. Tomas Diaz and his orchestra livened up the dance floor with his hit “Suky” and other songs from his new album being released this year. The gala is held every year to be able to provide warm meals and gifts during the holidays. Tomas feels fortunate to be able to have been able to participate in such a charitable event. 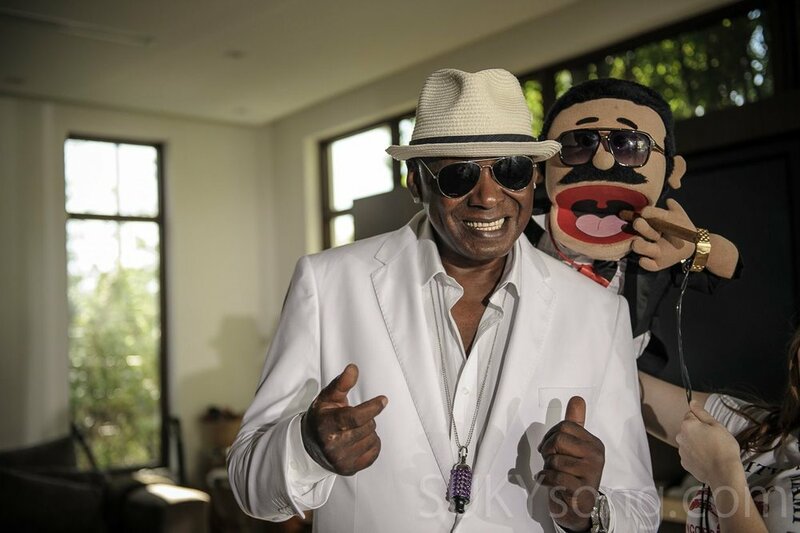 Suky visited the Amigos for Kids Jose Marti After School Program in East Little Havana and donated around 100 Halloween costumes and props used in the making of the Suky music video. 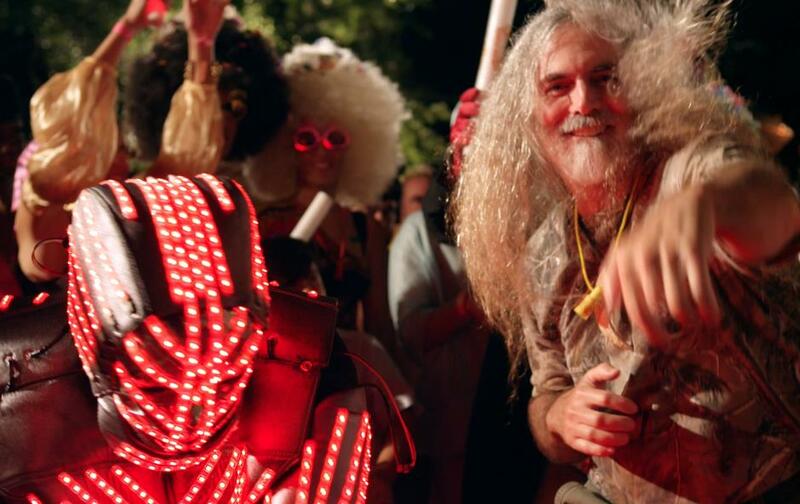 The mystically themed Suky Song has been the highest budgeted music video shot in the City in Miami in years. Sookie may also be known or recognized as “PANGANGI”, “PANGANGA”, “BAZOOKA”, and can be played by the whole family, boys and girls alike. Once a person has played or been explained the Rules, he or she is a player for life. Some say this game was invented by third-graders. While that may be true, we just don’t know the year. Confucius: “Hey, Long Dong. Did you get any hanamaten last night?”. … and thus the birth of SOOKIE!! Ringup – Various methods of Sookieing someone. The actual act of Sookie. Sookiee – the person initiating a Ringup by setting off a Sookie Trigger. Sookier – the person RingingUp the Sookiee by intentionally causing the Sookiee to set off a Sookie Trigger. Trigger – the phrase or action that sets up the Sookiee to be Rungup by the Sookier. Name given to a Sookie which results when in the normal course of conversation the Sookiee triggers a Sookie, but the Sookier had no intention of getting the Sookie. At the point of triggering the Sookie, the Sookier merely gives a Ringup without any emotion. This is done simply to let the Sookiee know that the Sookier is paying attention. Honesty plays an important part of this Sookie. This Sookie occurs when the Sookiee is aware a Sookier is attempting to Ring them up. To perform the tricky Reverse Sookie, the Sookiee must accentuate an obvious Trigger (such as “WHAT?”). Honesty also plays a crucial part of the Reverse Sookie. The Sookiee must be sure to make it known that he/she was aware of the Sookier’s intention. This occurs when the Sookier, with the use of a simple head gesture (such as a nod), makes the Sookiee trigger a Ringup. This is the most difficult and sought-after Sookie. As long as the question is a complete sentence or does not end in a trigger word. “I was fortunate enough to witness an unforgettable sookie when Frank Ortiz SILENT okied Carlos de M. from across a food court (aprox. 25 yards) at JFK Airport. Furthermore, the ringup was anything BUT silent, leaving the onlooking crowd very startled and dumbfounded” from Daniel Suñiga. “One time I was engaged in an intense sookie battle against this [man] named Felix from North Miami. He attempted to counteract his previous humiliation (I got him) with a sookie of his own. However, being the master that I am, I achieved The Advanced Reverse Sookie, keeping my previous victory intact and showing my dominance” from David L. Markel.